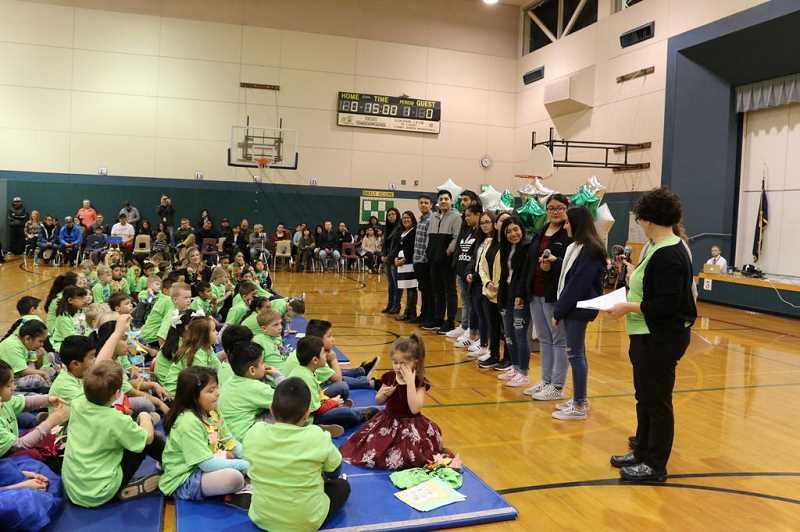 Trost Elementary School held its annual "Bridge to Bilingualism" ceremony on Friday, Jan. 25. The annual ceremony welcomes the school's first-graders to their bilingual path. Students in every grade celebrated the first-graders in some special way at the ceremony. Some high school senior, dual-language students also attended to offer words of encouragement to all Trost students.